* Front and Rear sets of rails allow some equipment to rack both directions providing up to twice the racking units (RU). 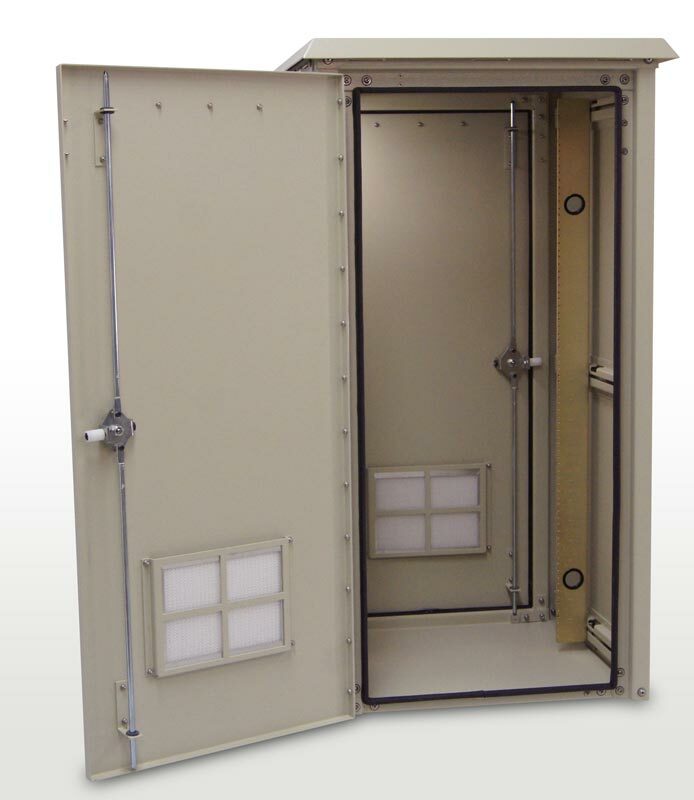 The IQ series enclosure is the ultimate choice for your outdoor racking requirements. Being made of our own rugged Alumiflex®, you’ll find it noticeably lighter than steel, yet strong enough to rack even the heaviest equipment. When choosing the IQ series, you are selecting the highest value in American construction. The IQ series includes standard features you have come to expect; incorporating the versatile strut system, for adjustable racking, the security of the 3 point locking system, and Alumishield® solar cap to manage heat loads. 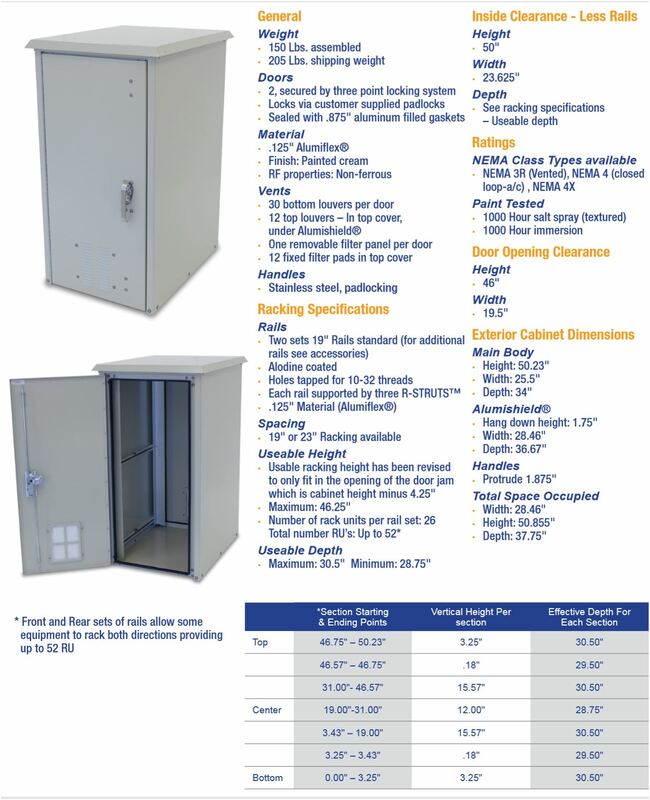 Add to this the many accessory items that can be added to enhance functionality including HVAC, electrical load panels, bases, trays and cable entry solutions. OkSolar.com can make a truly customized solution.